Getting kids to eat healthy is not always the easiest, as you probably know from experience! 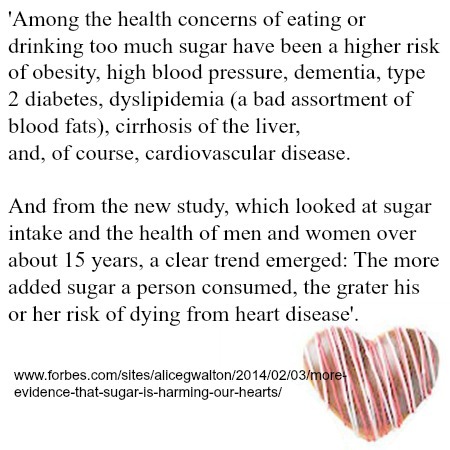 We want them to be the healthiest they can be, and become strong and amazing adults that make a difference. All that is so much easier with the right types of food in the body! On this page I share 5 fun but important tips with you that has worked for me wit my own son but also with the families and the many children I have worked with in the past. You can jump straight down to the tips by clicking here. How do you get your child to eat food like that without a battle? It is a known fact that most children don't want to eat healthy stuff. And some children don't even want to go near anything that's good for them. But it depends. With my son it wasn't that hard. At least not when he was under five years old. At the moment I'm staying away from anything with white sugar in the ingredient list. Because I want to protect my brain and my heart. It is sometimes easier said than done not to ever have it. And it gets so much easier when you get used to it. It's wise not to put pressure on your child. All you have to do is offer her the food. If she doesn't eat it, why not eat it yourself! In front of her. Then another day, offer it to her again. And again. After some time you can let her know how good you feel because you have been eating so healthy lately. Tell her how much more you con get done at work, how you aren't tired in the middle of the day anymore. This might make her want to eat what you eat. 3. Make it into a game! Here is an idea for getting kids to eat healthy I got from my lovely sister! 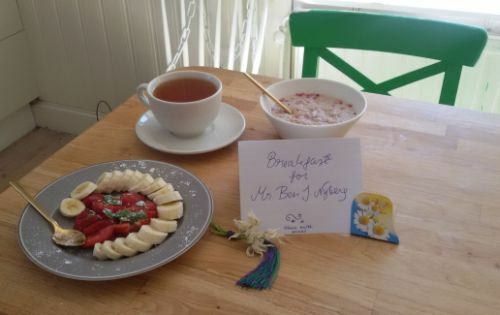 My son is visiting her right now and this is what she did: she prepared a really healthy breakfast for him and then told him that he is invited to eat breakfast at the Grand Hotel and pretended she as the waiter! 'Breakfast at Grand Hotel: Nordic Oatmeal with Raspberries, fruit carpaccio and green tea with liquorice. All served with golden spoons, of course'. Who could resist that? Find fun kid's breakfast ideas here. Here and there, tell your child a few interesting nutrition facts about the food you are trying to get her to eat. 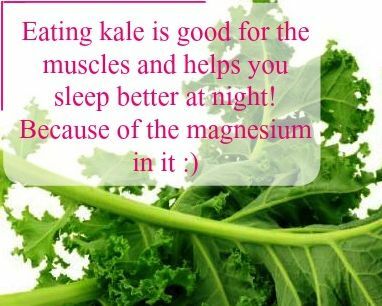 Like for example that eating kale is good for the muscles and helps you sleep better at night too, because of the magnesium in it. But be careful, don't over do it, just give her the facts without expecting anything from her. Because it could backfire... and the decision is supposed to be hers anyway. Here is by the way something on healthy eating habits for kids. This is a very well-known way getting kids to eat healthier. In my opinion making smoothies is the easiest way to get a child to have veggies, seeds, sprouts and all kinds of great stuff. And again, if they don't want it, instead drink it and make sure they see you doing it. Another page you might like: Are Children Eating Healthy These Days? By the way, I would love to keep in touch with you, so it would be awesome if you would sign up for my newsletter! I promise to use it only to send you Nutrition for Kids Newletter.